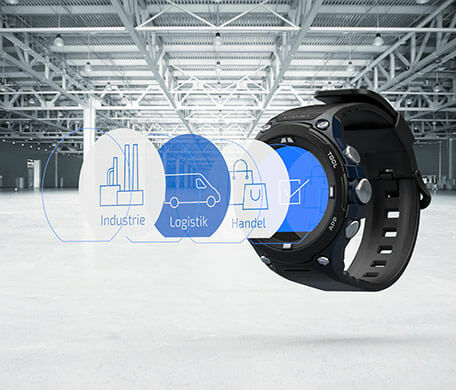 Whether in retail, logistics or for industrial use – there are countless possible applications for system solutions with the CASIO B2B smartwatch. In a wide variety of professional environments, it ensures greater efficiency, security, and satisfaction for employees and customers. Security checks in production, live updates for dispatchers during the loading of goods, identification of authorisation for cash transports and much more – the B2B smartwatch creates possibilities easily transferred to your industry. 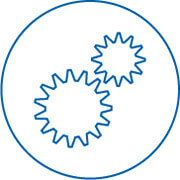 To realise your company's full potential, employees, machines, information and processes must work together perfectly. Networking is essential. 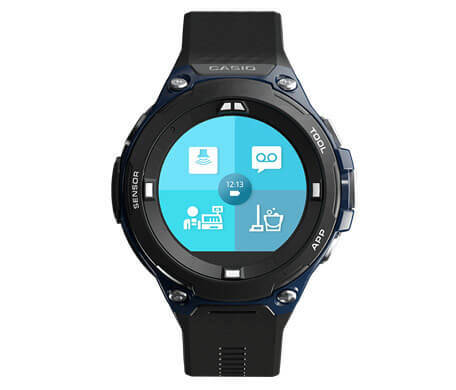 As an ideal interface between people and technology, our B2B smartwatch can help in many areas to optimise processes, adhere to standards and advance your business. 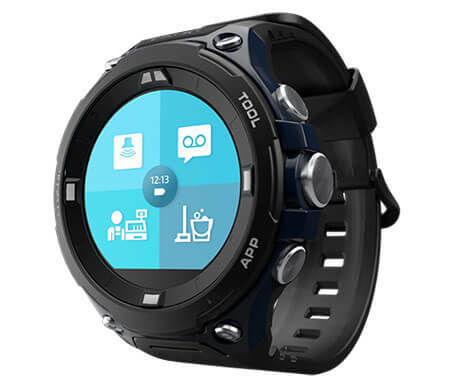 In professional use, the smartwatch must be able to unfold its full functionality without being connected to a smartphone. The CASIO WSD-F20A-BPA is therefore equipped with its own IEEE802.11b/g/n WLAN module. Thanks to the high quality and capacity of the integrated rechargeable battery, eight hours of battery life is no problem even with activated applications and WLAN operation. 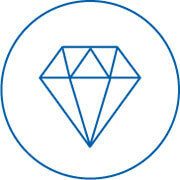 MIL-STD-810 is a US military technical standard that specifies environmental test conditions for military equipment. The standard defines tests for the compatibility of equipment and devices with extreme temperatures and air pressures, solar radiation, humidity, chemicals, acceleration forces and vibrations. The display consists of two independent LC-displays, which lie on top of each other. The monochrome display is active when the user does not have any special applications active – this saves power and increases battery life. The colour display can display graphic or, as an example, colour measured values optimally and ensures a clear presentation of the contents. The operating system Wear OS is perfectly designed for smartphones with an Android operating system. If desired, all available apps can be downloaded via the Google Play Store integrated in the watch. 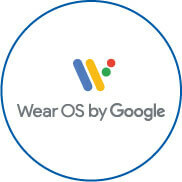 Wear OS is a brand of Google Inc. 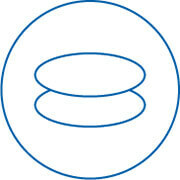 The open architecture also makes it easy for developers to create their own custom apps. Whether for internal communication from employee to employee, for a quick response to customer inquiries at the POS or suppliers in the warehouse, or for the direct acceptance of messages by IoT devices – the application possibilities for a B2B smartwatch system are almost limitless. 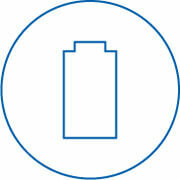 For attaching the battery cable to the watch case to ensure safe charging of the battery. The sizes in figures do not correspond to the original sizes. The colours may differ slightly from the original.